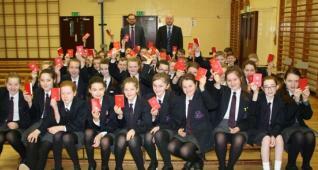 On Thursday 21 March, Year 8 pupils had an enjoyable morning at the ‘World Tour’ Event hosted by St Paul’s High School. Pupils had the opportunity to visit stalls from a variety of countries to find out about their dress, culture, currency and of course to sample their food. All pupils participated in the competition and are eagerly awaiting the results to see if anyone in our school has been successful! 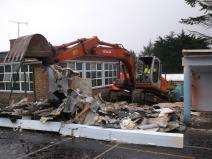 In spite of wintry conditions in the Newtownhamilton area on Wednesday 20.3.13, preliminary demolition work started on the provision of a new canteen for Newtownhamilton High School and Newtownhamilton Primary School. Having secured the site at the weekend, contractors made speedy progress in providing good access to the site. This extensive work, undertaken on the premises of Newtownhamilton High, is yet further evidence of the commitment shown by SELB to the secure future for the school. Pictured is Principal Mr G Mullan receiving 26 new chairs for the Science Lab, that were recently purchased by the School Association. Association Members have been working very hard in recent times to raise much needed school funds. In addition to the chairs, other resources such as a digital camera, pupil text and teacher resource books, materials for Technology and computer upgrades have also provided. Mr Mullan stated "We are very fortunate to have such a committed School Association, under the leadership of Chairman Mr Jim Harrison. I am extremely grateful for all their work to date and also for the role that they have in strengthening our community links". Staff and Pupils today enjoyed an extended break as School Association Members joined them in order to conduct the draw for the Easter Fireside Quiz. 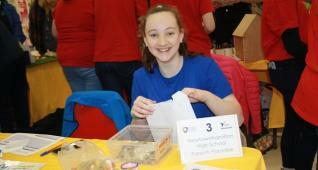 Association Chairman Mr Jim Harrison reported that there was almost 400 entries. A further draw was held for all the pupils that had donated £1 towards the Non-Uniform Day, with the following pupils receiving a Cadburys Creme Egg: Adam Armstrong, Harry Dougan, Adam McCullough, Gareth Meaklim, Aaron Armstrong, Rebecca Nesbitt, Gareth Sloan, Madison West, James Whitcroft, Colin McBride, Elizabeth Blackwood & Alistair Marks. 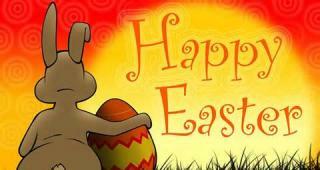 The Easter Fireside Quiz and Non-Uniform Day generated £550 for school funds - a big thank you to everyone that contributed. Pictured are some members of the local community that recently attended the Community Fitness Classes that were organised by the School Association. Thanks goes to local Fitness Instructor Mr Gerry Murphy for delivering the 6 weekly sessions. 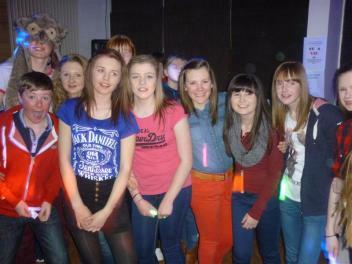 The programme raised £142 for school funds. The Royal Navy visited school on Thursday 14th March to deliver a STEM (Science, Technology, Engineering and Maths) workshop to a group of Year 10 and Year 11 pupils. The purpose of the workshop was to illustrate how the STEM subjects are used in the modern Navy. During the workshop, pupils got to design a gas turbine blade which would maximize engine efficiency, worked on calculating the fuel consumption on a modern warship and participated in a communications task in which information was gathered on different Naval crafts and then Morse Code was used to answer a number of questions. Pupils enjoyed the event and also went away with an understanding how their learning in class was related to some real life scenarios. 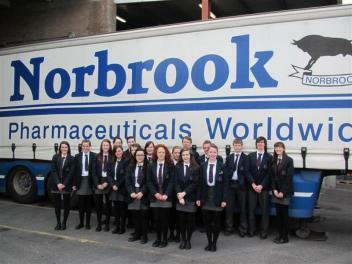 Double Award Science pupils in 11X recently welcomed Sharon Doran (pictured right) from Norbrook Laboratories to speak about possible careers in the pharmaceutical industry. 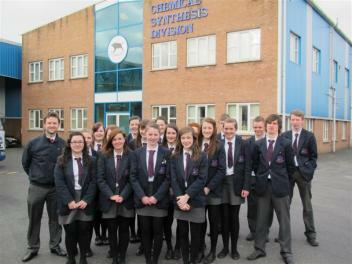 This presentation was followed by a class visit to the excellent Norbrook facilities in Newry. Everyone was interested to see how animal medicines were developed and produced. Pupil Elizabeth Blackwood (pictured bottom right) was that impressed that she went back to Norbrook the following week for a 5 day work experience placement. 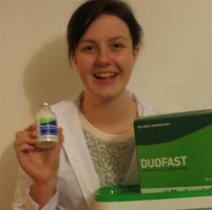 Elizabeth spent her week working in the Research & Development department and had a thoroughly enjoyable experience and also made a very good impression. 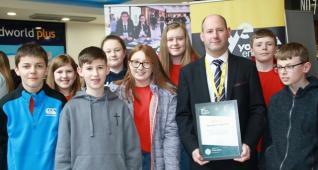 These links further strengthen a developing relationship between Newtownhamilton High School and Norbrook following a generous donation from the pharmaceutical company last year to supply a complete set of GCSE textbooks for the Science Department. 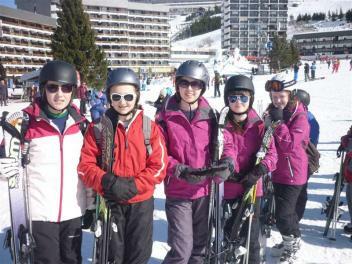 20 pupils from Years 9 and 10 have returned home safe and well from their trip to the French village of Les Menuires for skiing. This 7 day venture gave pupils an opportunity to experience life in a different culture, climate and environment, while also using the opportunity to brush up on their French language skills under the guidance of French Teacher Mrs A Laverty. 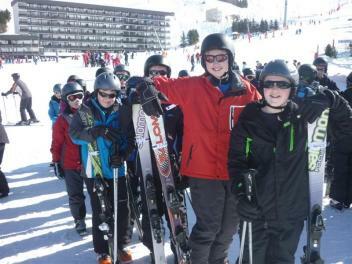 In addition to daily skiing lessons, pupils had an opportunity to participate in other activities such as bum boarding and a movie night while an evening disco also proved to be popular. An enjoyable educational experience was had by all the pupils, with thanks to Mrs Laverty and Mr J Black for providing supervision. More photos are on the Gallery section of this website. Our Year 11 pupils spent last week on work experience as part of the school CEIAG (Careers Education, Information, Advice & Guidance) programme. Mr Mullan, Mr Megaw and Mr Chambers (armed with cameras) travelled around the country to visit pupils at their different places of work. 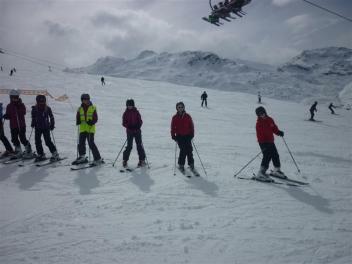 More photographs of the work experience programme are available by clicking here. Students are reminded to pack appropriate clothing which was outlined on the advice sheet; bring any medicines they are currently using e.g. inhalers; bring a small amount of money e.g. £2; and most importantly bring a ROLL ON deodorant (no aerosols permitted, as smoke detectors in the centre are extremely sensitive). The Under 13 football team defeated Markethill High School 2-1 in the Mid-Ulster League on Wednesday 27 February. Ethan Whyte put Newtownhamilton in front before Markethill hit back and with the game entering added time Neil Preston scored the winning goal from close range. Well done to all the boys involved. Meanwhile, the Under 15 team suffered a 2-0 defeat to Lismore Comprehensive in their quarter final tie of the Mid-Ulster Cup on Friday 1 March. A strong performance on the day from the Newtownhamilton boys failed to bring any reward against an impressive Lismore side. 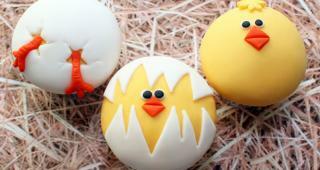 Pupils, Parents and Friends of Newtownhamilton High School are reminded to support our School Association in their latest fundraising activity - the Easter Fireside Quiz. All 133 families were issued with 5 quiz sheets (priced at £1 each) in January and were encouraged to sell these and return the money to the school office on or before Wednesday 13 March 2013. Additional copies of the quiz sheet are still available from the school office. All the winning entries will be drawn out of the hat during the Non Uniform Day (donation of £1 per pupil) which is also being run by the School Association on Friday 15 March 2013. Prizes have been kindly donated by Graham Park Butchers, Fane Valley and School Association Members. The corridors in Newtownhamilton High School should be quieter next week as approximately 40% of pupils will be educated off site. 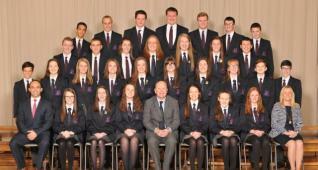 20 pupils from Years 9 & 10 and 2 staff members depart for France in the early hours of tomorrow (Saturday) morning for the Ski Trip. Hopefully everyone involved will have an enjoyable and safe trip. Meanwhile, 45 pupils will be participating in the Year 11 Work Experience course as part of the CEIAG (Careers Education, Information, Advice & Guidance) programme on offer in school. 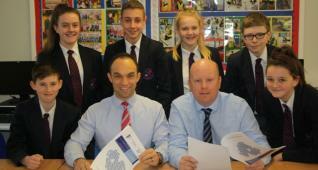 Pupils have been issued with letters for both parents and employers regarding their placements. 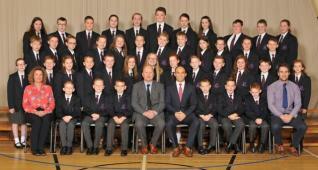 Pupils are reminded to contact Mr Megaw (02830 878246) if they experience any problems during their 5 day placement. Finally, 12V will travel (as normal) to Southern Regional College on Thursday 7 February to participate in the Vocational Enhancement Programme.